Florence, S.C., Oct. 15, 2012 – HillSouth IT Solutions, an IT consulting firm that specializes in the healthcare industry, and leverages cutting-edge technology solutions from leading vendors to assist companies across South Carolina in solving their business challenges, today announced that its Founder and CEO, Robby Hill, has been named an honoree in the 2012 Empact100, an awards program sponsored by Empact, an organization that focuses on making entrepreneurship a viable career option for everyone around the world. 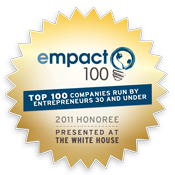 Now in its second year, Empact100 recognized HillSouth as of the United States’ “Top 100 Companies Started by Young Entrepreneurs” during a ceremony held in September at the White House in Washington, D.C. 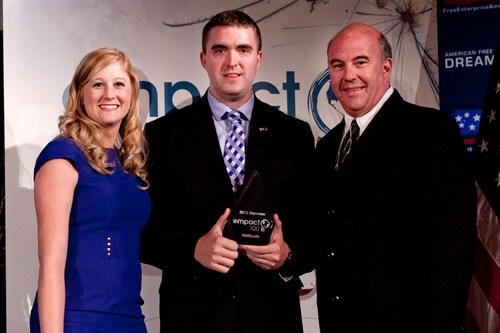 This is the second year that HillSouth has been recognized as an Empact100 company. HillSouth was founded in 2001, by Robby Hill at the age of 17. The company currently has 23 employees, and is one of South Carolina’s fastest growing employers with 2011 revenues topping $2.3 million. The company is a knowledge leader in the healthcare IT industry, and advocates for, as well as provides solutions for primary health care organizations, private practices, specialty practices, and inpatient facilities to assist them with core technology infrastructure that is crucial to successful electronic medical record (EMR) system deployment and operation, as well as to share crucial healthcare data with other health systems. In addition to being an Empact100 honoree, HillSouth has garnered several other industry and business awards in the past year. In August 2012, the company announced that it ranked #994 on the Inc. 500|5000 list, an exclusive ranking of the nation’s fastest-growing private companies. HillSouth was also recognized by UBM Channel, the premier provider of IT channel-focused events, media, research, consulting, and sales and marketing services as a member of CRN magazine’s second annual Next-Gen 250 list, which highlights up-and-coming VARS that have recently entered the market with a smart and different approach to solution selling and integration, and has part of the CRN 2012 “Fast Growth 100,” an annual list featuring the fastest-growing solution providers in the technology industry based on two years' growth of net sales from calendar year 2009 to calendar year 2011. 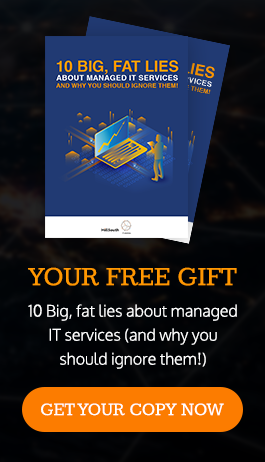 “I believe that much of our success, especially our continued recognition as a leader among our peers within the IT services industry, is attributed to the hard work and dedication of HillSouth’s incredibly talented team of technology experts; as well as our ability to remain true to the mission to go beyond the role of solution provider and become an extension of our client’s businesses, by forming long-term partnerships with them to solve their unique and ever-changing business challenges,” continued Hill. Empact100 honorees include the top 100 companies in the Empact Showcase, a compilation of the United States’ leading entrepreneurs who are age 30 and under, and whose annual revenues or operating budgets (for non-profits) are more than $100,000. In 2012, the companies comprising the Empact Showcase contributed more than 8,000 jobs to the economy, and controlled $1 billion in revenue.